Unger Brothers American Art Nouveau 'Mercury' Brooch. This is an early 20th Century American Art Nouveau brooch made by Unger Brothers of Newark, NJ (1872-1910/1919). 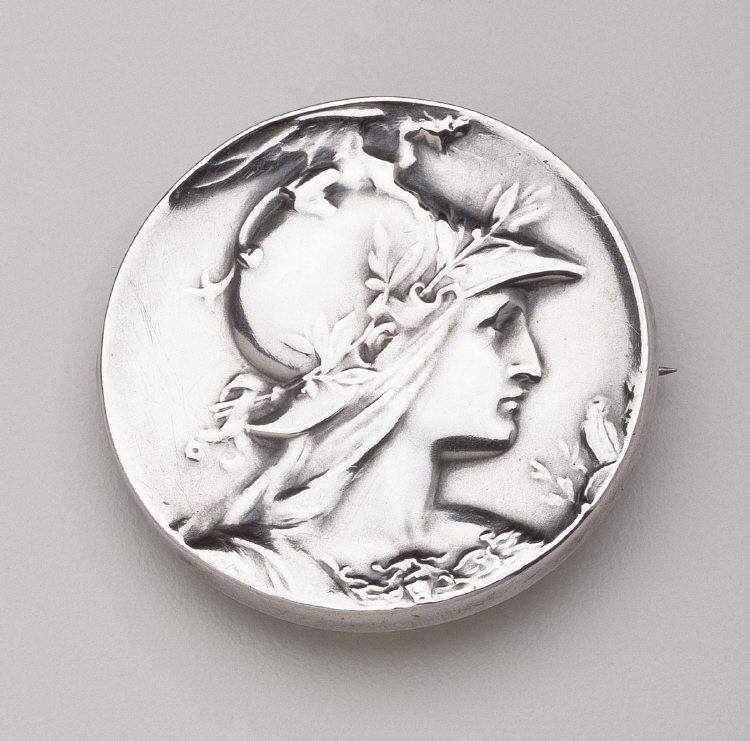 This sterling silver brooch features relief of Mercury in profile. 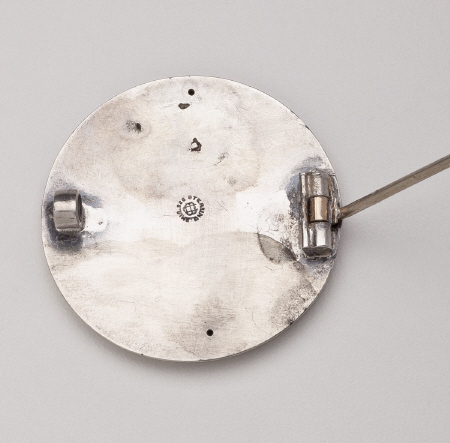 The brooch measures 1.75 inches in diameter. The brooch bears impressed marks for Unger Brothers, Sterling, 925. This brooch is in excellent condition.